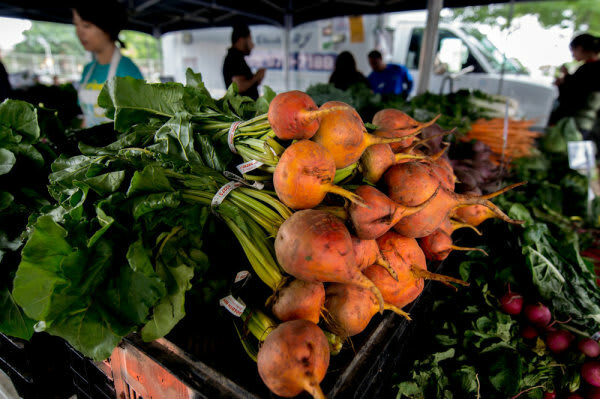 The Harvest Home Farmer's Market 5K Run/Walk will take place on May 19, 2019 in Brooklyn's Prospect Park. The event features a professional pre-race warm-up & stretch, a professional announcer, live DJ, one of a kind Harvest Home event gear, and an amazing time with friends, family, neighbors, co-workers and other charitable individuals like yourself. Harvest Home Farmer's Market is a BBB accredited, NYC-based nonprofit. Our mission is to make locally-grown, farm-fresh produce accessible and affordable to low-income communities. We address accessibility by operating 16 markets throughout the South Bronx, Upper Manhattan, and West/Southwest Brooklyn. We address affordability by instructing our farmers to implement sliding-scale pricing and facilitating acceptance of a variety of government benefits such as SNAP/EBT, Women, Infant, & Children coupons, Health Bucks, and Farmer's Market Nutrition Program coupons; 70% of our market sales are by individuals and families supported by government assistance. We provide interactive nutrition education at all of our markets in conjunction with cooking demonstrations that provide customers the opportunity to explore and experiment with plant-based recipes. Our goal is to facilitate increased consumption of fruits and vegetables, a proven preventative measure, among communities that suffer from disproportionately high rates of obesity, diabetes, and other chronic illnesses. Harvest Home is a pioneer in this endeavor, and has been pursuing these efforts for the last 25+ years. For more information, please visit www.harvesthomefm.org. Funds raised through this event will help ensure that our 275,000 (and growing!) annual market attendees will not have to sacrifice their health for their budgets. Please consider joining us for this great cause.